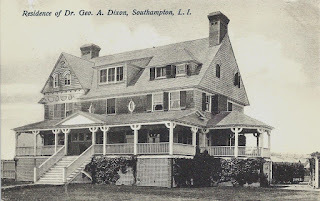 'Edgecombe', the Henry Burr Barnes residence built c. 1895 in Southampton. Barnes was president of A.S. Barnes & Co., publishers, and vice-president of Manhattan Eye and Ear Hospital. 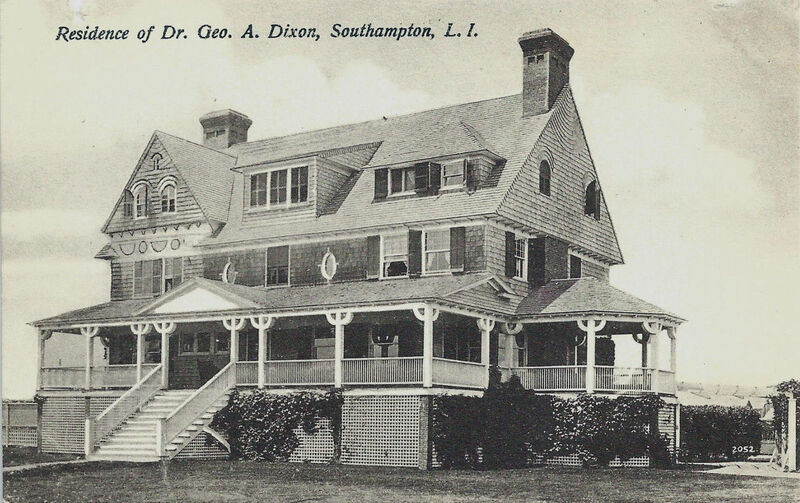 'Edgecombe' is pictured here under subsequent owner Dr. George A. Dixon who called the residence 'By-the-Way'. It is unconfirmed if the house is extant but it sat on Gin Lane. Still there are 56 Gin Lane (I think), but almost unrecognizable. It has at least doubled, and possibly tripled, in size. thanks, I think you are correct. Tripled or even quadrupled. However, the dormers are still visible on the Ocean side of the house. SIX DEGREES OF SEPARATION: Ready class? Pay Attention. This much-renovated house was later owned by Henry Rogers Benjamin, the grandson of H.H. Rogers of Standard Oil. Benjamin's third wife, also his widow, was tge former Germaine de Baume. Benjamin was her third husband. Her fourth husband, whose fourth wife she was, was James H.R. Cromwell, stepson of E.T. Stotesbury. Cromwell, of course, had a taste for rich wives. He was married first to Delphine Dodge, second to Doris Duke. At any rate, this house, which the last Mrs. Cromwell inherited from Mr. Benjamin was then occupied by Mr. Cromwell. Got all that? Class dismissed. Now owned by a former Enron employee, correct? To me, this is another ironic example of a reasonable size house being expanded to huge while other houses are being torn down because they are too huge (& dated ... I understand that part). I guess it's all in the timing.